Good choice. 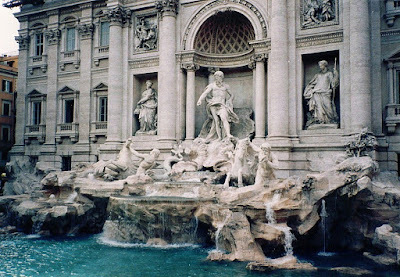 I had five seconds of fame with my photo of the Trevi Fountain! It's beautiful. I forgot about the water became intrigued with the figures. Just lovely. So gorgeous, Mirella! Loved my visit to that beautiful fountain...thanks for some wonderful memories! Gosh - one of my favourite places! Mirella - have you heard about the book picture challenge started by Simon at Stuck in a book? If you look at my blog you will see what it is - knowing your marvellous eye for pictures I thought you might be interested!